Disney's Jungle Cruise is currently in production and it looks like the movie is going to be making some history, as Jack Whitehall is set to play the first openly gay character in a live-action movie from the studio. However, Whitehall's casting and alleged characterization has already caused some backlash and controversy. Though, there are pretty clear arguments forming on both sides. In any case, this isn't perhaps the home run, progressive move that Disney was hoping for. Jack Whitehall is playing Emily Blunt's brother in Jungle Cruise alongside Dwayne Johnson in the movie based on the popular theme park attraction. The movie will be set in the 19th century, at a time when it was far less acceptable to be gay. In a new report, it's been revealed that Whitehall will be gay and that he will make it very clear he has no interest in women. However, a source also says that his representation may be quite stereotypical, which is part of where the backlash is coming from. "This is a huge gig for Jack and has landed him his biggest ever pay cheque. But, more excitingly, he is playing a gay man, one who is hugely effete, very camp and very funny." 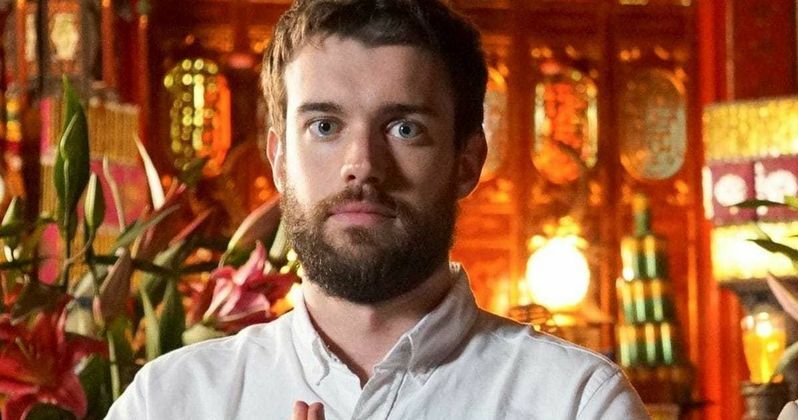 The fact that Jack Whitehall's character will be very "camp" and "effete" has drawn some blowback, as quite a few people online seem to feel that the studio's first openly gay character shouldn't rely on such stereotypes. The other sticking point is that Whitehall is, himself, not gay. Quite a few feel that this is a huge misstep and that a gay actor should have been cast in the role. Actor Omar Sharif Jr. had this to say on Twitter. "Really @Disney #JungleCruise ? Your first significant gay role will be played by a straight white man perpetuating stereotypes? Fail! This ship should sink. For the record, I think Jack Whitehall will do a terrific job...MY POINT: For a global company that speaks primarily to youth, Disney had an opportunity to give queer kids an authentic reflection of themselves to see on TV and role model to look up to in real life." Others called into question the fact that Scarlett Johansson faced backlash for Rub and Tug, a movie that would have seen her playing a trans man, which she ultimately removed herself from following the negative response. However, others have looked to movies like Love Simon, which features Nick Robinson, who isn't gay but portrays a gay character, and received virtually no blowback. On the contrary, that movie has been praised quite highly. Says Twitter user @jamieehudson_. "wait... how come no one batted an eye when Nick Robinson, a straight man, played a gay character in Love Simon? but now y'all fake outraged over Jack Whitehall playing a gay character just cause it's a disney movie, I have to laugh"
Disney has flirted with including gay characters before. Beauty and the Beast included a gay moment between LeFou and Gaston, but it was small. Marvel Studios, which is owned by Disney, also backed out of including LGBTQ characters in both Thor: Ragnarok and Black Panther. So the inclusion of such a character in Jungle Cruise is significant and, prior to the backlash, Jack Whitehall seemed thrilled, as was made clear in an Instagram post. "I'm so honoured to be part of this epic adventure, @disneysjunglecruise. Filming is underway and I am having the time of my life with my amazing co stars. It's so cool to be part of something of this scale and also as possibly one of the biggest Disney nerds on the planet so exciting to be working on a project with this much history." Controversy or no controversy, Jungle Cruise is set to arrive in theaters on October 11, 2019. The movie is being directed by Jaume Collet-Serra (The Shallows) and the idea is for Disney to be able to turn this into a possible franchise, akin to what they did with Pirates of the Caribbean. We'll have to see if this controversy causes any changes to the flick or if the Mouse house sticks to their guns. This news comes to us courtesy of The Sun. For the record, I think Jack Whitehall will do a terrific job...MY POINT: For a global company that speaks primarily to youth, Disney had an opportunity to give queer kids an authentic reflection of themselves to see on TV and role model to look up to in real life. 2. That doesn't mean it's not a shame for Disney's first every major gay role – which will likely create a role model – not to go to someone who was gay or bi.